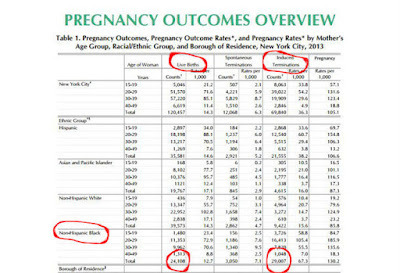 The New York City Department of Health recently published a study which showed the outcomes of pregnancies, by racial groups, in 2013. 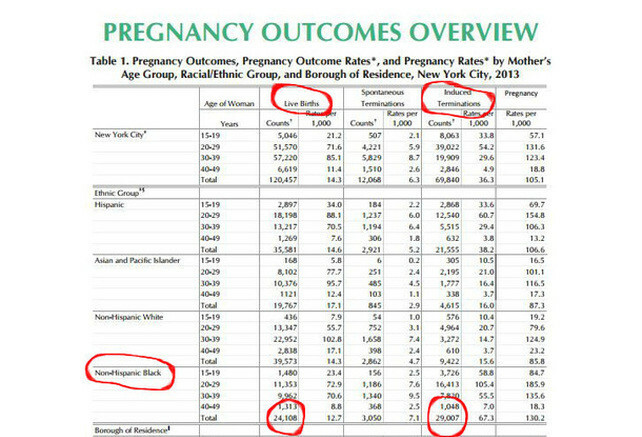 What it showed was that more black babies are being aborted than born. You really care about #blacklivesmatter? If so, you may want to start breaking down those institutions (and let's be clear, they truly are institutions) that are killing off more black babies than are being allowed to be born.